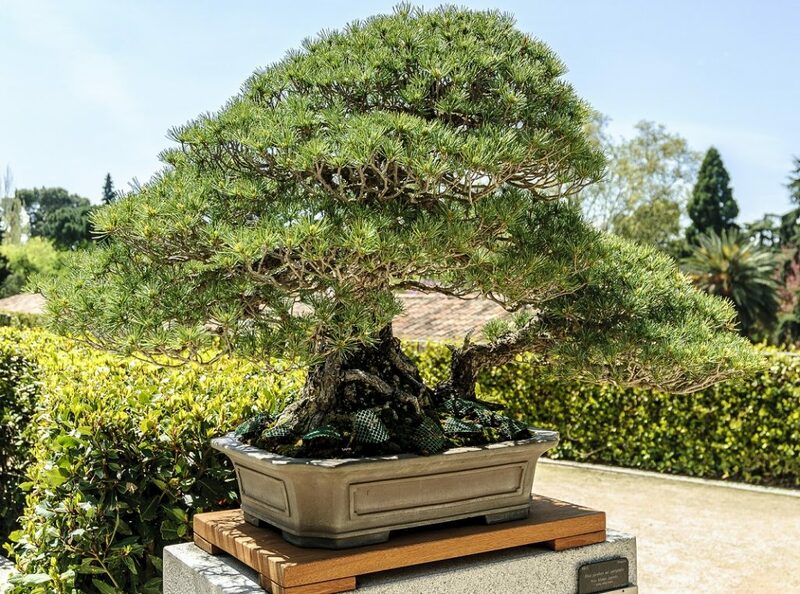 In 1976 bonsai master Masaru Yamaki donated one of the most famous pines ever to the United States as part of Japan’s Bicentennial gift to the American people. A Japanese White Pine (Pinus parviflora ‘Miyajima’) bonsai sometimes known as the Hiroshima Survivor, is on display at the National Bonsai & Penjing Museum located at the United States National Arboretum. The tree has been in training since 1625. That makes it over 391 years old! Even more incredible? It survived the atomic blast in Hiroshima on August 6, 1945! Masaru Yamaki and his family will never forget the morning of August 6, 1945. They were home when a blast blew in all the windows of their home, cutting all of them in the process. Miraculously they all survived when a United States B-29 bomber dropped the worlds first atomic bomb less than 2 miles from their home and nursery in Hiroshima. The atomic bomb, dropped during the final stage of World War II, destroyed over 90% of the city and killed over 80,000 Hiroshima residents or about 30% of their population. Another 70,000 were injured during the attack.